Diseases of the airways, especially lung cancer, are evermore on the rise in society. For early detection of a lung tumor, we offer you not only conventional examination methods but also low-dose computed tomography with especially minimal exposure to radiation. Chronic bronchitis is especially common among those over 50 years of age. 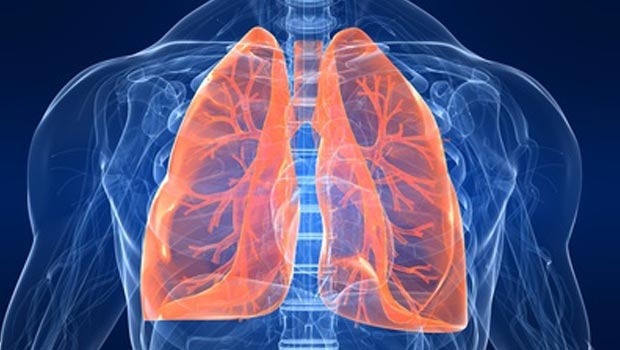 In addition to the small and large pulmonary function tests (spirometry and whole-body plethysmography), we also conduct a measurement of your oxygen saturation, low-dose computed tomography, and spiroergometry. With the help of spiroergometry we can, for instance, classify shortness of breath as a consequence of a cardiac or pulmonary disease. In the case of allergies, we offer you alongside the above-mentioned procedures also further tests in cooperation with our partners. Breathing disorders of the sleep are far more common than generally assumed. They cause not only daily fatigue, high blood pressure, and cardiac arrhythmia but also stroke and cardiac insufficiency. As an early detection procedure, we apply cardiorespiratory polysomnography: While you sleep at home, a small device records your respiratory movements, snoring sounds, oxygen saturation, body position, and heart rate. This service is also available for our publicly insured patients. Owing to our Private Medical Center of Excellence for Interdisciplinary Sleep Medicine (InterSleep), we have the opportunity to discuss the diagnosis and start of therapy together with cardiologists, pneumologists, dentists, and ear, nose and throat doctors, all of whom are experienced in sleep medicine. Interstitial lung diseases (e.g. sarcoidosis) and common occupational or environmental interstitial lung diseases (e.g. asbestosis) are difficult to diagnose as they show only few symptoms in the early stages. As an early detection procedure, we provide you with both the large pulmonary function test (PFT) and high-resolution computed tomography (HRCT). If you are suspected of having sleep apnea, then an outpatient polysomnography (sleeping test) should be conducted. You are given a small mobile device to take home which measures the most important parameters of your sleep. Various types of therapy are available to you as required. All options have one common goal: You and your partner in bed get a good night's sleep! The treatment we recommend depends on the severity and causes of your sleep apnea. Monday 9:00 a.m. – 1:00 p.m. / 3:00 p.m. – 6:00 p.m.
Tuesday 9:00 a.m. – 1:00 p.m. / 3:00 p.m. – 6:00 p.m.
Thursday 9:00 a.m. – 1:00 p.m. / 3:00 p.m. – 6:00 p.m.